WaterCare's chlorine generator conveniently creates chlorine directly from the salt in a conditioner's or softener's brine solution. During the brine draw cycle, a pair of probes is turned on, causing an electric current between them. This electricity separates the chlorides from the salt (NaCl) into sodium (Na) and free chlorine (Cl). 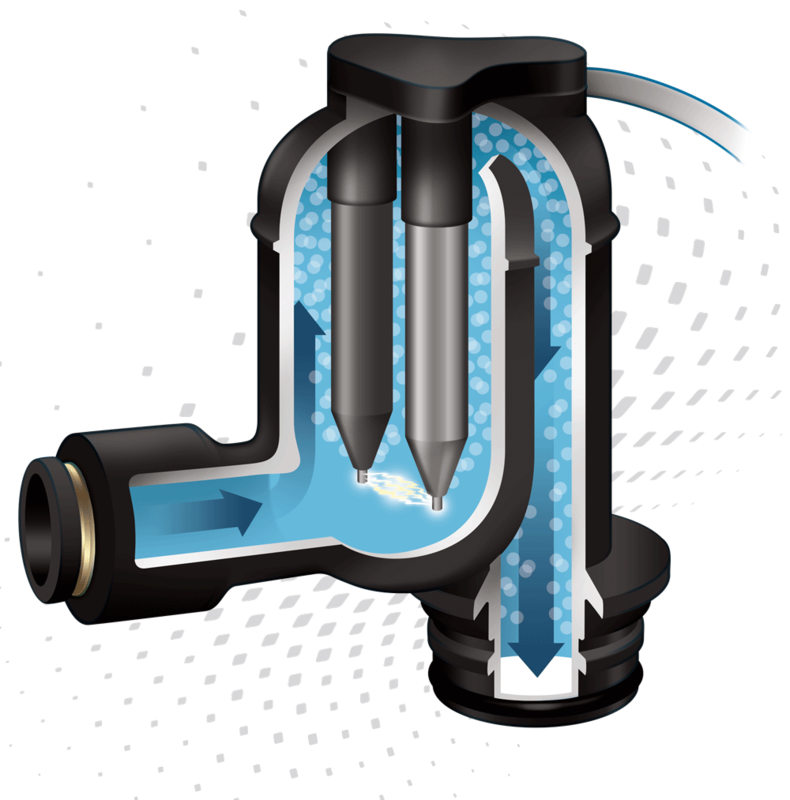 The amount of chlorine the device produces can be adjusted to fit the needs of the system. This is easily accomplished by increasing or reducing power (amperage) to the electric probes. More power generates more chlorine and less power generates a smaller amount. This free chlorine passes into the media tank to keep the inside clean with every regeneration. After destroying contaminants, the chlorine then dissolves for a cleaning process without residual chemicals.